There have been several sightings of the latest and greatest in Coca Cola vending technology in Bethesda. The latest is at the new Nando’s Peri Peri on Bethesda Avenue (the other is at California Tortilla). 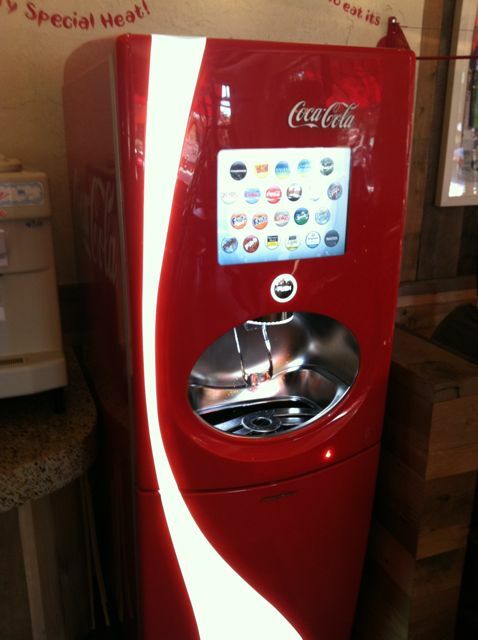 The new Coca Cola Freestyle® vending machine is a sleek piece of machinery indeed. Like an iPhone for soda this modern marvel dispenses over 100 different sodas from a single machine – all using a touch screen. Have you ever heard of Peach Fanta? This entry was posted on Tuesday, November 15th, 2011 at 10:01 pm and is filed under Food and Drink, Kid's Stuff. You can follow any responses to this entry through the RSS 2.0 feed. You can leave a response, or trackback from your own site.